Michael posts about the best places to get Thai food in Bangkok. We ate at My Choice when we were travelling around Thailand with Michael and Kasma. I think this is the place we went where Theresa tucked into a dish of green beans and then suddenly went bright red as she found the green bean she was munching on was really a whole Thai chili. Thai chilies are *really* hot in Thailand. This entry was posted in Thai Food on June 6, 2009 by brett. I even went so far as trying to grow my own tree, but sadly that wasn&apos;t happening in our climate. Kaffir Limes are hard to come by in Washington State. 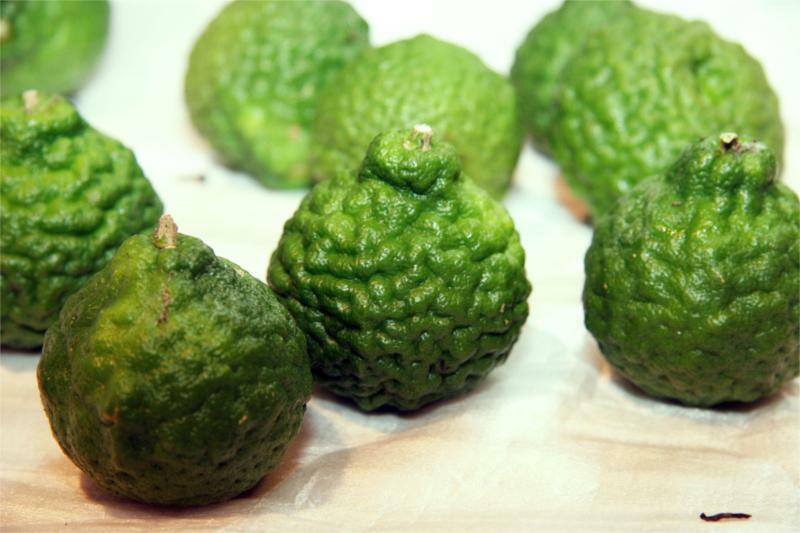 The FDA hasn&apos;t approved them for produce sale (According to the grocer at Uwajimaya) and so at Asian grocery stores – all we can get are the Kaffir Lime Leaves, not the limes themselves. When making thai curry pastes, the peel of the Kaffir Lime imparts an intense amazing flavor that really sets them apart from other curries. Today, I received a shipment of their Kaffir Lime harvest! They are perfect, beautiful and smell so wonderful! The timing couldn&apos;t have been more perfect. After maxing-out on my last plate of turkey left-overs, I&apos;m ready to cook some more Thai Food. I&apos;m going to make a beef Panaeng Curry from scratch (making the paste itself) in the next few days to take advantage of these deliciously fresh limes. This entry was posted in Ingredients, Thai Food on December 27, 2008 by brett. Palm sugar is a secret weapon in making the best Thai curry. 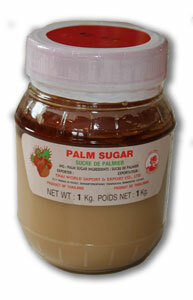 Palm sugar is far less processed than your typical brown sugars, and retains an intense caramel-like taste. Look for a Thai brand – you can find one like this at Viet Wah or Uwajimaya. Sometimes it is sold in smaller tubs, or packets containing little &apos;half-tennis-balls&apos; of sugar. I prefer the jars as it&apos;s a little easier to keep it soft, which makes it more workable when scooping. 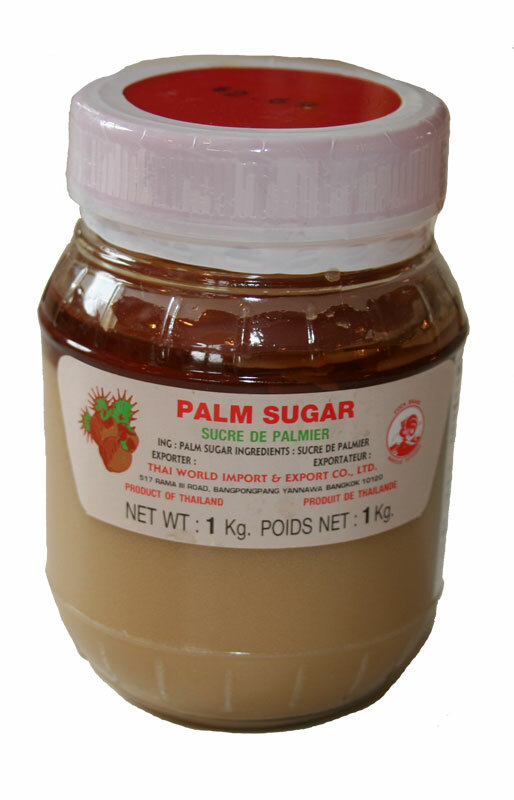 If you get the jar – they are sealed with a wax layer ontop of the sugar. Makes sure you scrape off the top 1/16" layer of wax before using. Thirsty for even more info? This entry was posted in Ingredients, Thai Food on August 1, 2007 by brett. One of the secrets to cooking great Thai food, is the right coconut milk. There are only two brands you should ever get – both available at Uwajimaya. Mae Ploy is my favourite, it is very rich and creamy. The other great brand is Chao Koh. This one is easy to remember as you can look for the "A-OK" in the middle of the word. 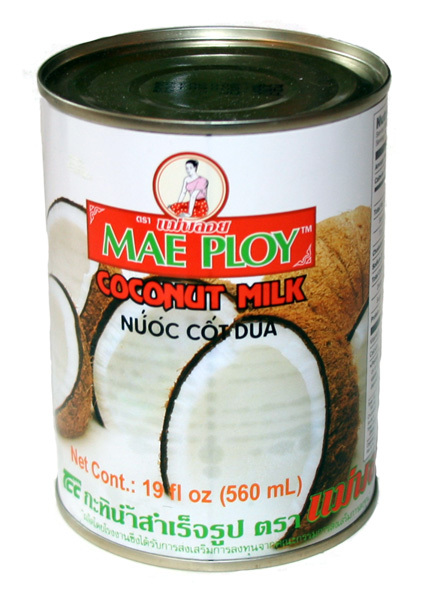 If a recipe calls for "Coconut Cream" – don&apos;t buy a special can of it, just put your Mae Ploy in the fridge overnight and the cream will float to the top. Likewise, don&apos;t be tempted by "Lite Coconut Milk". It&apos;s just coconut milk with water added. If you are making a soup – like Tom Kah Gai, then you can use this technique to water down the coconut milk to make it lighter on the palette. Don&apos;t be fooled by other brands, or think you can get by with "Thai Kitchen" brand from QFC. This entry was posted in Ingredients, Thai Food on July 18, 2007 by brett. Ever wanted to make that perfect Thai curry? Read on and I&apos;ll give you step-by-step instructions on how to do so. 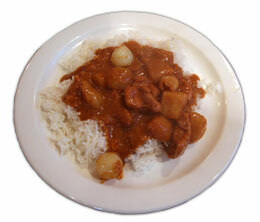 This entry was posted in Recipes, Thai Food on July 17, 2007 by brett. Ahh… the quintessential ingredient in Thai cooking. Fish sauce is known as "Thai salt" – it&apos;s added to everything to beef up the salty qualities of the dish. Finding the right bottle of fish sauce is a make-or-break deal with cooking Thaifood. The brand of choice here is "Golden Boy" – made in Thailand – which features a red label showing a baby sitting on a globe with a bottle of fish sauce in his arms. Finding the right bottle of fish sauce is a make-or-break deal with cooking Thaifood. The brand of choice here is "Golden Boy" – made in Thailand – which features a red label showing a baby sitting on a globe with a bottle of fish sauce in his arms. Uwajimaya from time to time has stocked Golden Boy, but these days it&apos;s rare to find. On a recent business trip to Atimi Software in Vancouver, I discovered T & T supermaket that sells Golden Boy. You&apos;ll get weird looks carting 3 cases of the stuff back across the border, but it&apos;s worth its price in embarassment. Tra Chang is a good backup and can be bought online from a local distributor in Issaquah, WA. Uwajimaya in Seattle, has Squid Band to get you rolling – it has a green label and green cap. Check out Michaels in-depth write up on fish sauce. This entry was posted in Ingredients, Thai Food on June 10, 2007 by brett. 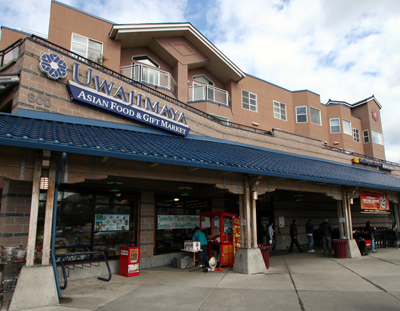 Uwajimaya is the godfather of Seattle&apos;s Asian grocery stores. The new location is International district is huge and well stocked. You can count on getting almost all of your Thai needs at Uwajimaya. I liked the old location better, as it was less flashy and felt like you were in a different country. The new location is a little too much like Whole Foods for my tastes. If you want the feel of the old Uwajimaya, then make a stop at Viet Wah. They will have most of what you need. This entry was posted in Thai Food on June 7, 2007 by brett. What has Thaifood got to do with Ultralight Backpacking? Nothing really. They are like oil & water – I have yet to find amazingly delicious & ultralight Thaifood that you can take on your backpacking trip. However, when I&apos;m off the mountain – one of my other great passions in life is cooking Thai. A few years ago, Theresa and I spent a month in Thailand travelling with Kasma and her husband Michael on one of their tours. Quite possibly two of the nicest people I have ever met. Kasma is a Thai native and teaches cooking out of her school in Oakland. After tasting the amazing flavours on our trip – Theresa and I took one of her week long intensive cooking classes where we learned the basics of cooking Thai. We cook Thai a lot! Especially at dinner parties, and often friends ask me "how do I make a curry like that!" – so I&apos;m going to dedicate some posts to the topic of Thaifood. I&apos;ll cover the ingredients you need and where you can find them in Seattle, and will also post a few step-step recipes. The recipes are those I learned from Kasma – so I hope she forgives me for ripping them off – I claim no ownership to their creation! While you can do your best to follow along, there really is no substitite to learning first-hand in her class how to &apos;taste&apos; and &apos;balance&apos; the flavours for that perfect curry! So if you like what you see, and even make a recipe or two – then make sure you find your way down to Oakland to take one of her classes – or atleast purchase one of her books.